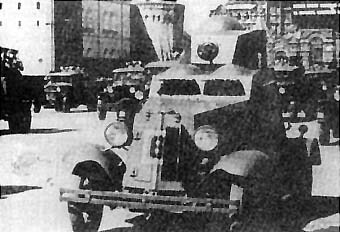 By May, 1929, the USSR government had already contracted Ford to produce several truck chassis under licence, the “Ford-A”, “Ford-AA” and “Ford-Timken”. Production started at the Gudok Oktyabrya Factory in Nizhnij Novgorod (later Gorkiy plant) in February 1930, and joined by the “KIM” factory near Moscow. Gorkiy plant was later known as GAZ imeni Molotova or simply “GAZ”, mass-producing Ford chassis for all needs. The three initial models were recalculated in the metric system and renamed, respectively GAZ-A, GAZ-AA, and GAZ-AAA. 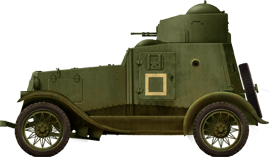 In 1931, the GAZ design bureau chief engineer N.I.Dyrenkov began to create two models of light armored cars, according to UMMA RKKA order, the D-8 and D-12. Only a few units (25s D8, unknown number of D12s) saw light. The D8 was small, stocky and cramped, with a single machine-gun mounted in a ball-mount in the hull. It lacked speed and had no off-road capabilities. The D-12 was not more satisfactory either. 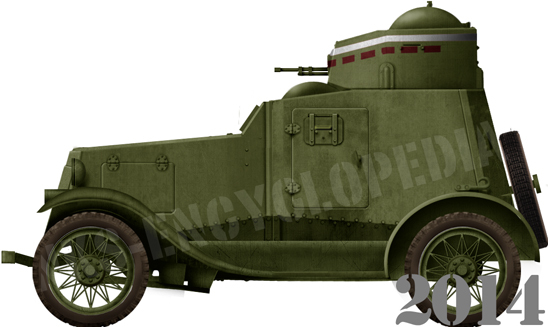 A 1932 UMMA RKKA specification then asked for a bigger model based on a more robust chassis and featuring a 360° traverse turret, which could be mass-produced and replace both models. The new model was named after the initials “Ford-A-Izhorskiy” and production scheduled for 1933. 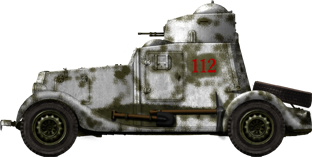 This new model, based on the GAZ-A, was longer, stronger, with a solid framework allowing the required revolving turret. The planned armament was the DT standard light machine gun. The spherical mount allowed a +10 -10° traverse. 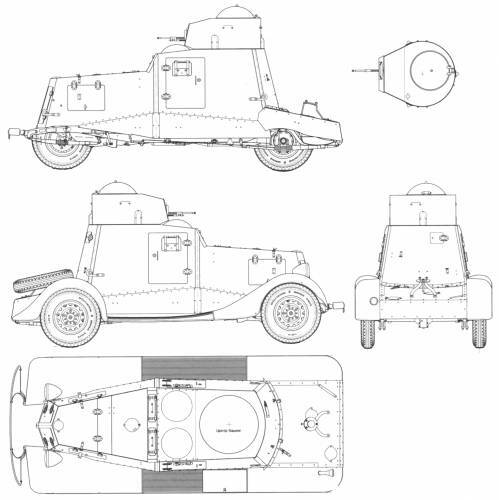 The main recognition feature of the FAI compared to the later BA-20 were two dome-shaped armored covers over the driver and co-driver’s stations, added to the turret shape, back armor slope, position of the spare tire and length of the cabin. The FAI also had many differences with the later FAI-M. It was more cramped and compact. The FAI was built in relatively small numbers before being replaced by the very similar BA-20. The FAI and BA-20 series had a few advanced features. 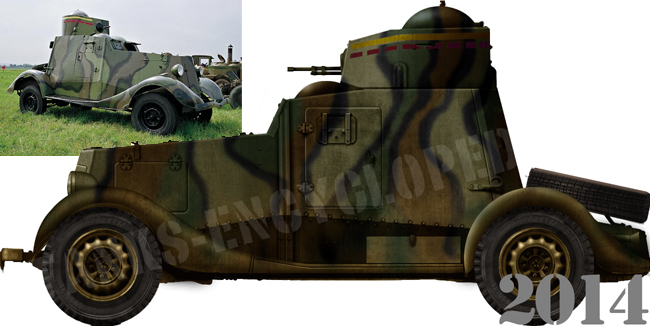 They were of all-welded construction in an era when most armored vehicles were riveted. Also, they had cork-filled tires, meaning they could still move when their tires were shot at. But the original FAI chassis was also the source of major weaknesses. 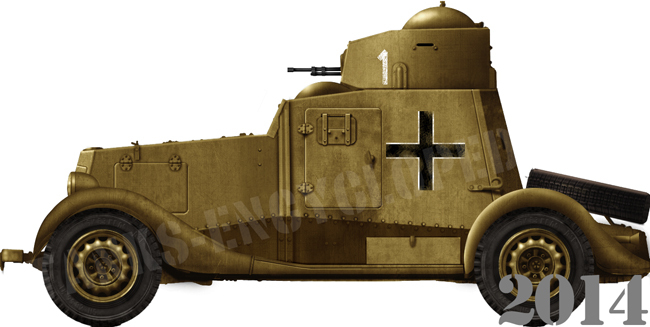 Most commercial car chassis were not strong enough to carry a useful amount of armor or firepower on the battlefield. 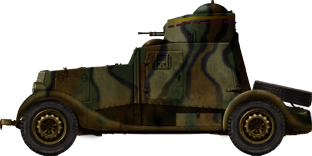 Some vehicles (some sources name them FAI-J) were used as armored rail scout cars in connection with armored trains. However, they could only reverse at 24 km/h (14.9 mph) – which made them too slow to be completely practical as rail vehicles. 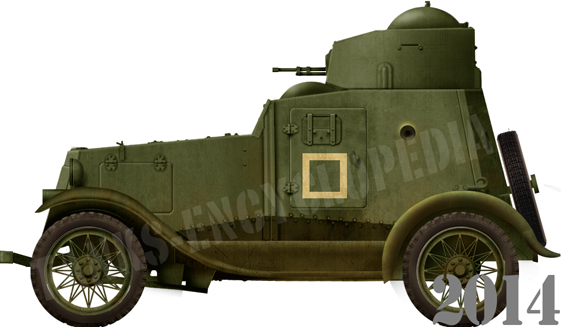 By 1935, at the Izhorskiy Factory, a new armored car was developed on the chassis of the M-1 car. It was roomier for the crew and could be equipped with a radio. 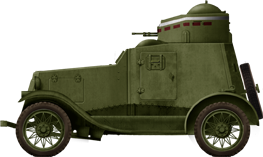 With the advances allowed by the M-1 chassis, mass production was shifted in 1935 from the FAI to the new armored car named BA-20. However, after the production change, about 300 FAI hulls still remained in factory warehouses. So, Soviet engineers came out with the idea to mount these hulls on the M-1 chassis. This “hybrid” was then named FAI-M. The latter was much longer, but the main cabin was unchanged. Only a fairing was adapted to protect the rear axle, bridge and suspensions. The mudguards were longer and more enveloping, the headlights were shifted to them and some details of the body were changed. Besides the increased length and rear overhang, the main recognition feature of the FAI-M was the relocated spare roadwheel and the spoked wheels replaced by new simpler and sturdier metallic roadwheels shared with the BA-20 and later models. The new engine provided 50 hp, the maximum speed was raised to 90 km/h (56 mph), fuel capacity was increased from 40 to 60 liters and range rose accordingly from 200 to 315 km (195 miles). 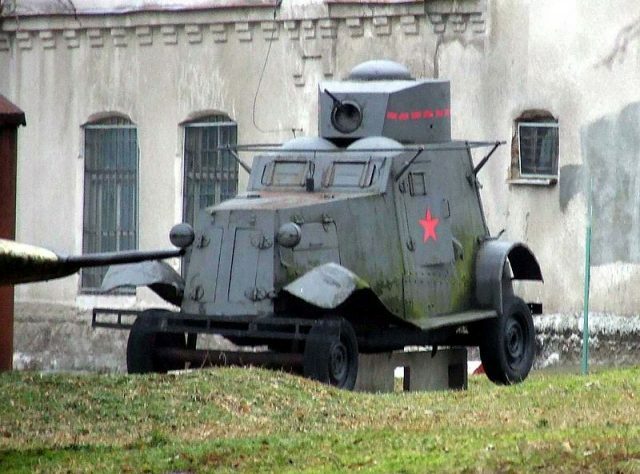 Prior the Great Patriotic War, FAIs were the most widespread armored cars in the Red Army. 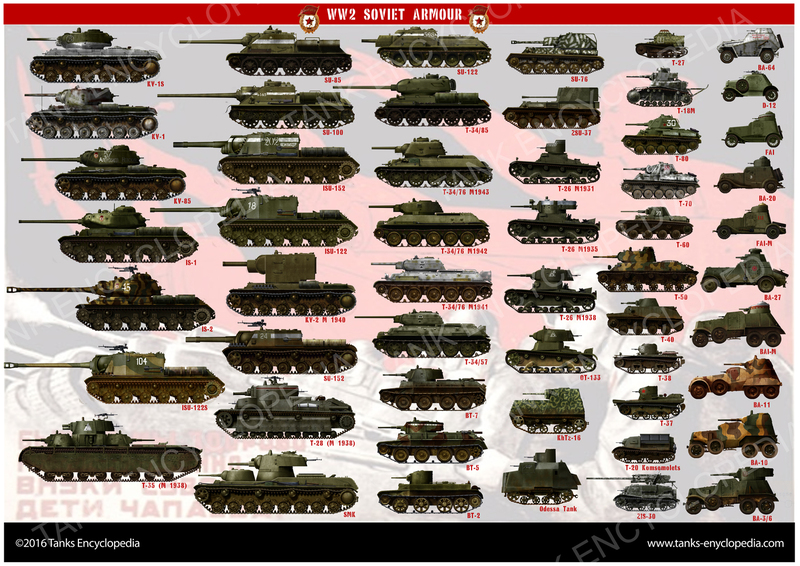 They took part in nearly all operations from 1934 to 1943. They also served in Spain during the Civil War, on both sides. 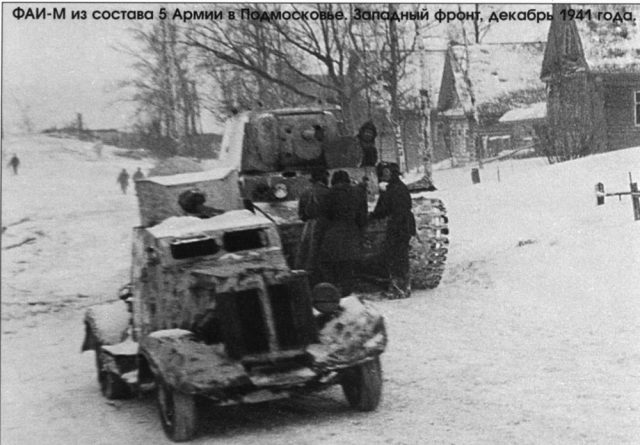 In 1939, some also served in limited numbers on the Far East borders, and many were also engaged on the few available roads during the Winter War in Finland, with few success. FAIs were employed in the early days of fighting in the summer of 1941. 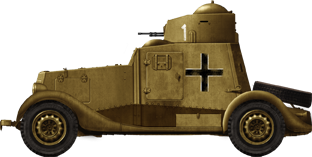 The Germans used some captured vehicles of this type, at least one of which was taken over by Polish forces during the Warsaw uprising in the summer of 1944. But, by the end of 1941, most had been destroyed or abandoned. 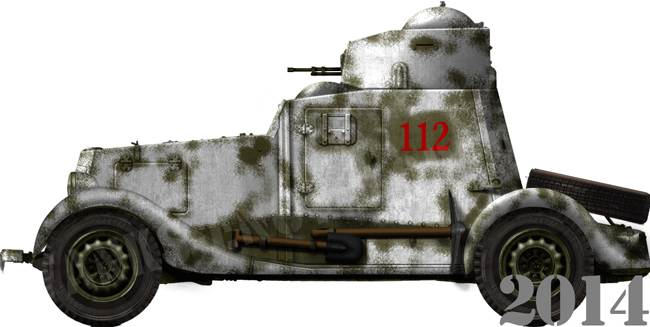 The FAI was a typical example of civilian-based armored cars with a single 7.62 mm (0.3 in) DT machine-gun in a revolving turret and minimal armor, only sufficient to stop most shell fragments and small arms fire, very vulnerable to mines and easy prey for ambush parties as they were bound to roads. Today, one damaged FAI is displayed in the Warsaw military museum. Another FAI-M in running condition appeared at “Exotic vehicles 98” (held July 10-12, 1998 at Tushino, Moscow) displayed by “RKKA’s Club of Military History”. It was a restored model previously found in a swamp near Novgorod. FAI of a regular unit, 1937. 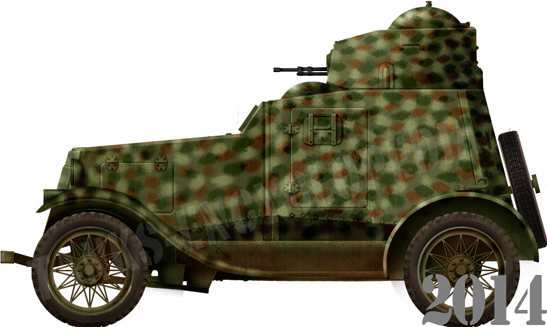 Camouflaged FAI of the Republican forces, Spain 1938. FAI from the organic 7th Independent Motorized Brigade, 1939. 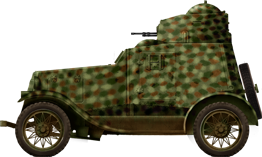 Camouflaged FAI-M, inspired by the model recovered in a swamp near Novgorod, probably lost in 1941. FAI-M during the winter campaign, Karelia, Finland, December 1939. Captured FAI-M used by the war correspondent attached to the 10 Pz.Gren.Div. at Kursk, summer 1943. Captured FAI-M, Finnish Forces, 1942. About twenty one FAI, FAI-M and BA-20s were captured in the Continuation War.